1. 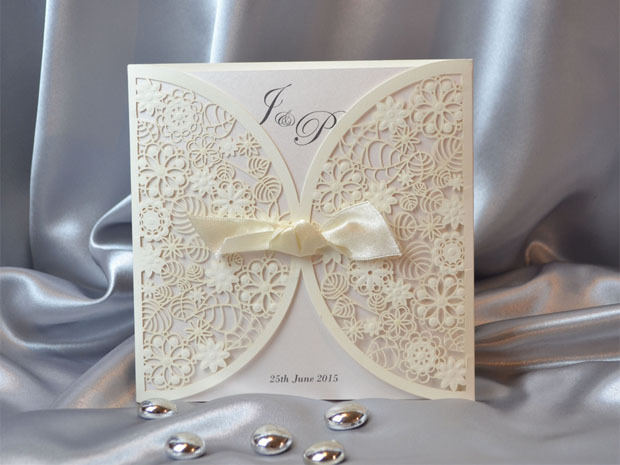 Generally it is advised that you send out your wedding invitations 6-8 weeks before your wedding so give yourself at least 3 months before your postage date to start working on your stationery. If you are having a destination wedding or having a wedding over the holiday season, you need to give your guests plenty of notice so send them out even earlier. Special papers or envelopes may need to be ordered in and of course you will need time to write and address them. When you meet with your Stationer, ask them for some samples, and be sure to get a printed proof before they print the final run. 2. Do a little research online to see what styles, designs and tastes appeal to you. Pinterest is a great site for ideas. Your theme could be something that portrays your interests, such as travel or music or it may just be something simple like flowers, stripes or your wedding colours. And remember the invitation is your guests’ first peek at your wedding style – the style hints to the formality of your wedding. You should have an idea of the type of event you’re throwing before you start shopping for stationery. 3. Setting a budget is important as it helps the Stationer create within that budget. Ask your Designer for a pricelist or a quote upfront before they begin any design, this way you will know how much it will cost before any work is done. You can get a beautiful printed design on card for very reasonable prices. When you start adding Diamonds, Pearls, Ribbons, Lace and Insert sheets, it starts getting very expensive. 4. Put some consideration into how you are going to word your invitation. If you are going for a laid back wedding, chose relaxed wording, don’t choose something formal. Also speak to your parents about how they would like the invite worded. Whether your parents are financially contributing to your wedding or not, they may expect the wording to include “Together with their Parents”. Have a look online for some wording ideas, there are some really great ideas out there. 1. Are you having a formal, casual or traditional wedding? If your wedding day is going to be very relaxed and informal, you may want to reflect this in your invitations. 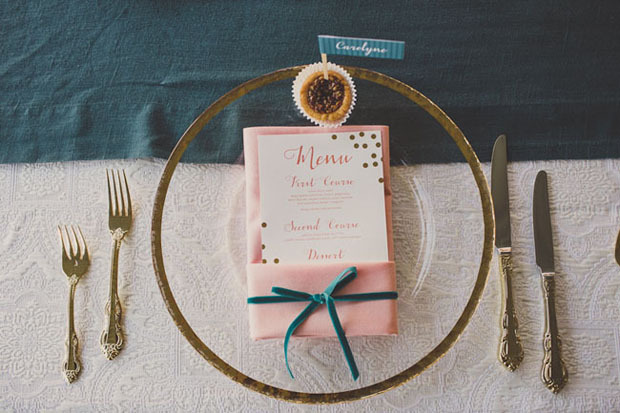 Alternatively, if you are hosting a formal celebration, more formal invitations would be best. The type of venue you are having for your ceremony and reception will have an influence on how formal or informal your invites need to be. 2. Will you have guests coming from abroad? If so, you may need to send out invites earlier than you would for a local wedding to allow for travel plans. 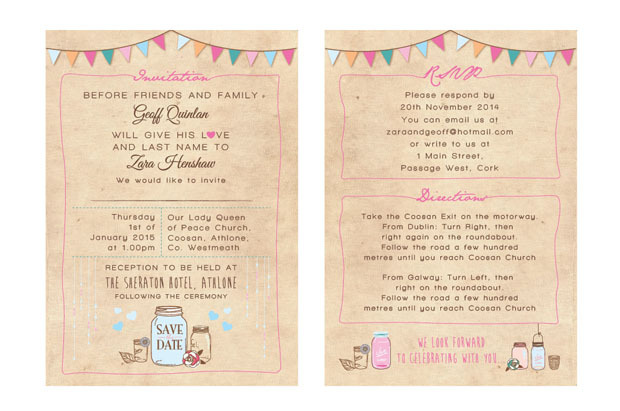 We recommend sending invites out 2 months before your wedding date. If you are hosting your wedding abroad however, or are having guests coming from afar, it’s best to give 3-4 months’ notice to allow for planning. 3. Do your guests know where the ceremony venue and reception are located? If not, you might want to include directions and if there is travel involved, accommodation in the local area is great information to give to your wedding guests. 4. In addition to this, the following are useful guidelines: Allow plenty of time to decide on your wedding stationery, just to make sure you are happy with everything! Check with your supplier to see if there are minimum orders as some stationers do have these. Allow at least three weeks for RSVP so that you can make out your table plans and confirm numbers with your venue. And finally, putting a little thought into wording, design and invitation style will pay off – a professional team will always be happy to help with these aspects to make sure you are 100% happy with your wedding stationery. 6-12 Months Before Your Wedding: Send out your Save The Date cards. 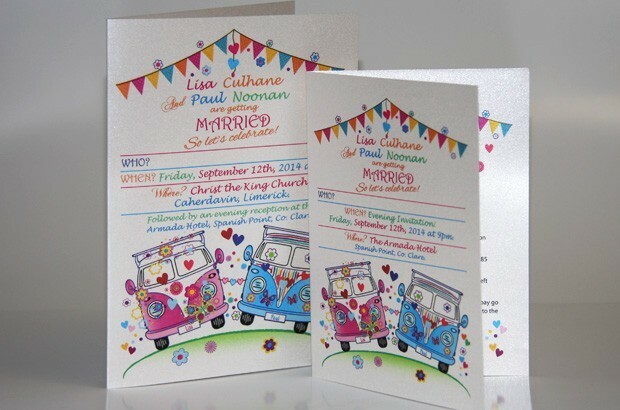 Order your Day Invitations, Evening Invitations, RSVP Cards, Information Cards and Mass Booklets. On the invitation you will list the hosts, the couple, the ceremony date, time and location. On the RSVP card there will be a line for your guests to reply, a response date, and a space for dietary requirements if applicable. The name line is traditionally denoted with an “M” and the guests are expected to fill in the rest of their title (Mr. or Mrs.) and names. We also recommended matching envelopes with returned address on them for your guests’ convenience. Start collecting information on local accommodation and directions to the venue for your guests. 3-6 Months Before Your Wedding: Send out your Invitations along with RSVP and Information Cards. Confirm wordings for Mass Booklets or Order of Service and Menus. Allow at least 2 weeks for the typesetting and proofing. You may need to check your Mass Booklets or Order of Service wording with the person taking the ceremony. Order Table Numbers, Table Plan and Place Cards if you are having them printed. 1-2 Months Before the Big Day: Chase up all unanswered invitations. Draw up final guest list and confirm seating arrangements for Table Plan. If guests begin buying gifts from your gift list, you can make a start on your Thank You cards if you like.This should give you a reasonable amount of time to ensure everything runs smoothly. Remember it is always better to have time on your side!